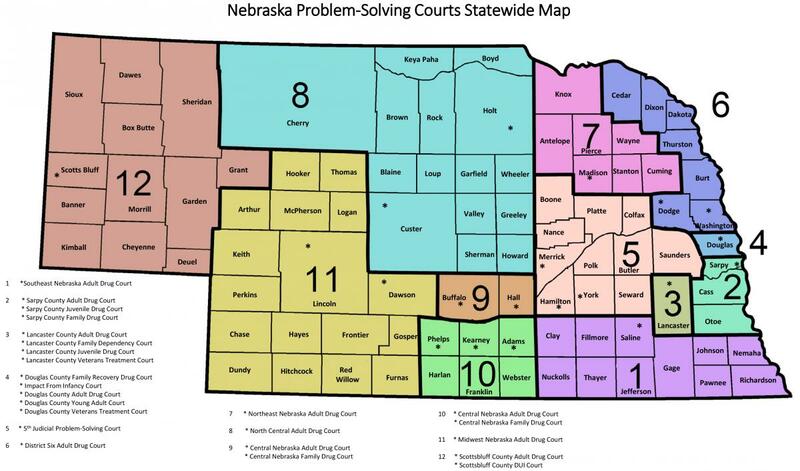 The Nebraska Court Improvement Project, led by Director Deb VanDyke-Ries, hosted Regional Conferences in Lincoln, Norfolk, Gering, and Lexington this year with the theme “Changing Minds”. The CIP team welcomed over 400 attendees over four days. The keynote address from Jason Feldhaus, Vice President of the Connected Youth Initiative, focused on adolescent development, brain science and how we address typical versus concerning behavior based on what we know now of brain development. Feldhaus was joined by youth who are or have been system-involved to give their perspectives on what we can do differently to foster positive youth development for system-involved youth. Following lunch, Hazel Delgado, CIP Research and Evaluation Specialist, unveiled the CIP Data Dashboard. This is a great new tool available on the CIP website (Link: https://supremecourt.nebraska.gov/programs-services/court-improvement-project/court-improvement-project-data-dashboard ). The Data Dashboard replaces the annual printed Data Reports traditionally produced and distributed to Through the Eyes of the Child teams by CIP. The Dashboard will allow judges, Through the Eyes of the Child teams, and other stakeholders to access current data on court-involved youth. The conferences also featured a panel discussion with experts from government agencies and other youth-serving organizations from the local area discussing challenges and possible solutions to address mental health issues across the state. Attendees were able to pose questions to panelists addressing specific concerns. Bernie Hascall and Nathan Busch rounded out the day with a presentation and overview of the Nebraska Division of Behavioral Health System of Care grant. They were joined at each location by representatives from local programs that are addressing mental health issues in innovative ways.